View of the lower starboard side of the tail gun enclosure. 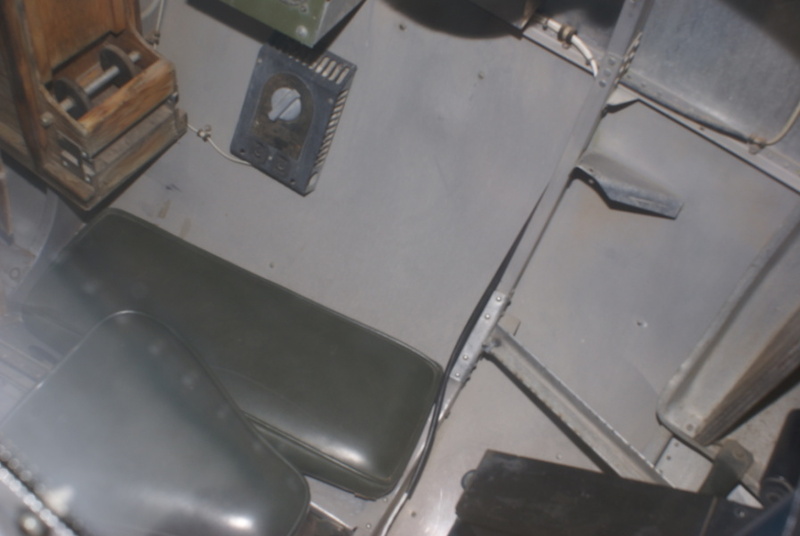 The tail gunner in the B-17G assumed something of a kneeling posture (see the last image on the page); note the large green knee pad against the side wall and the green bycyle-style seat at lower left. Part of one of the machine guns is at lower right.